Unfortunately, this is not the case for many children in Laos. 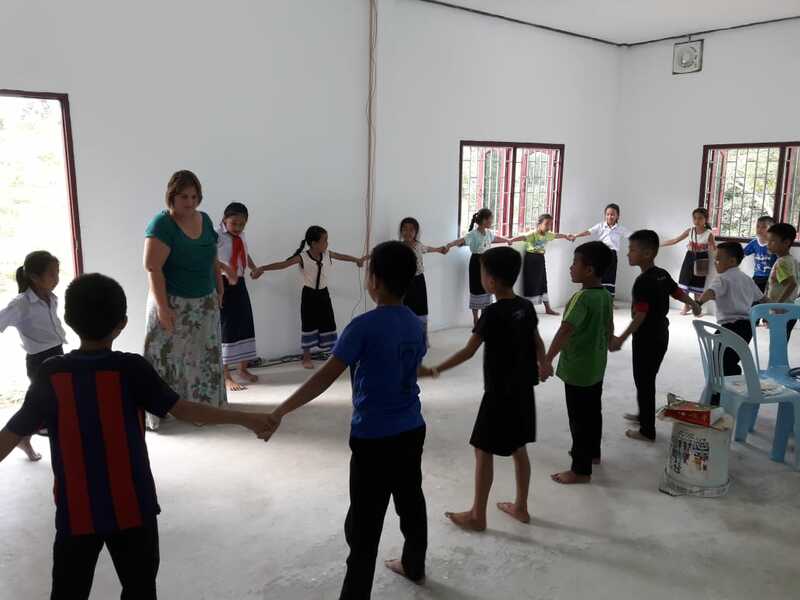 We started to organize free English after school classes in September 2018 to over 100 children but there is still a lot of work that needs to be done in our center. 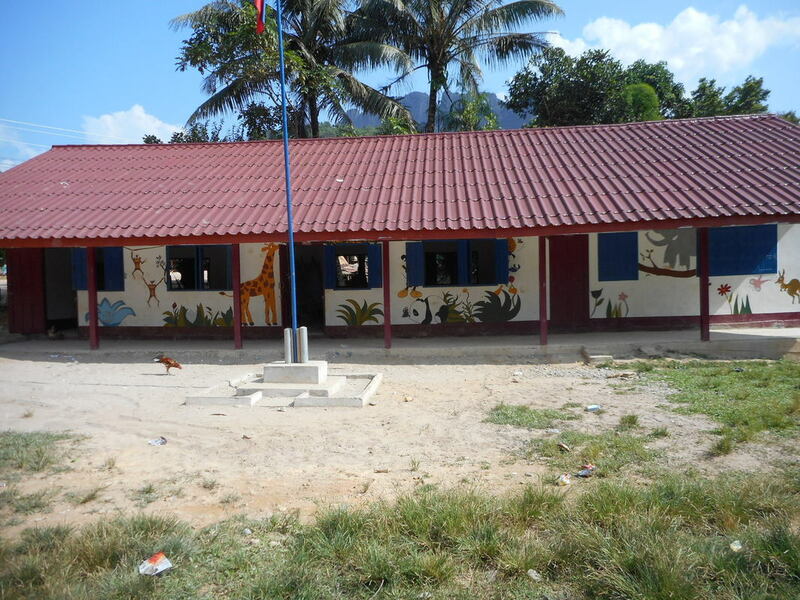 We are looking for funds for the finishing touch, like tiles inside, but we also still need to decorate our office and surroundings need to be covered and cleaned. 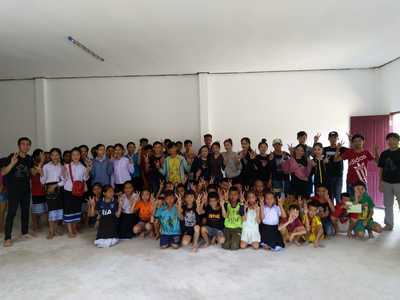 Eventually in the future we want this center to become a place where teenagers and children can hang out and be reliable place for everybody participating in the center. We hope that we can establish all activities desired by our students so they can grow personally but also as a group. 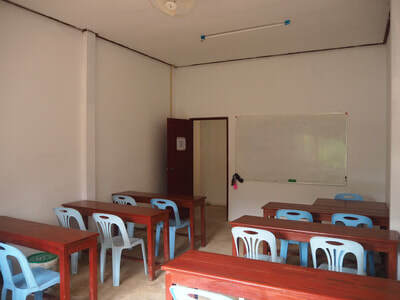 In later phase we also want to open up for adults to have a place where they can gather when our students are following official education. 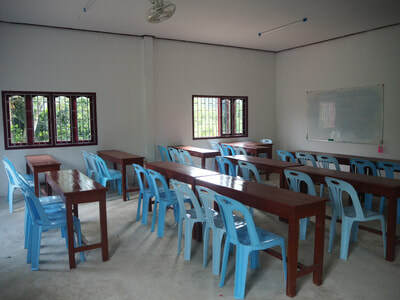 So this training center can become a complete Community Center for everybody. At the picture below you see what our center looks like at the moment. 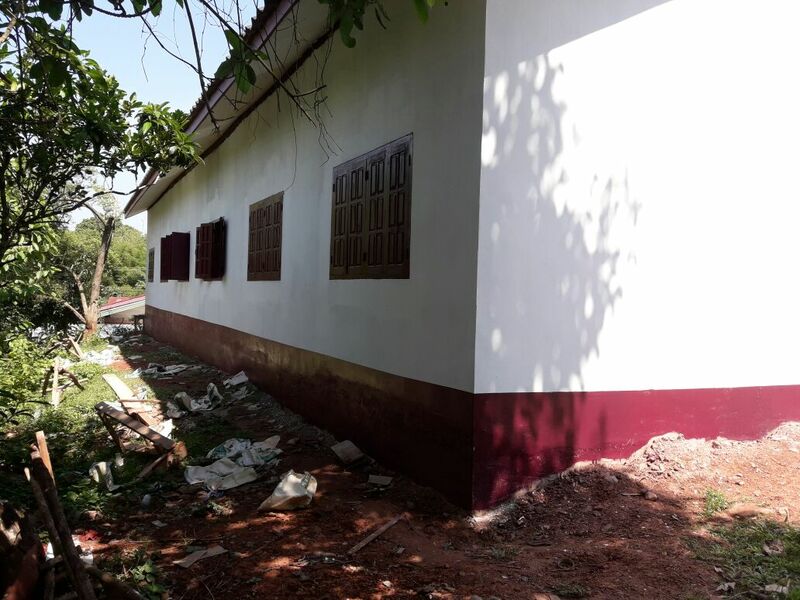 We still need tiles and decoration inside but also the surroundings need to be covered and cleaned to provide a safe and clean playground for the children. 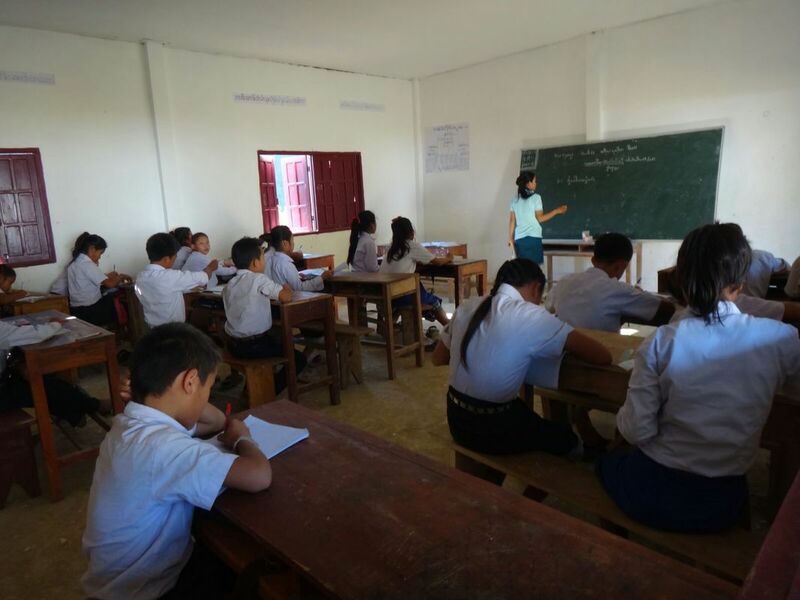 Currently we provide free after school English classes and some small activities for our students. 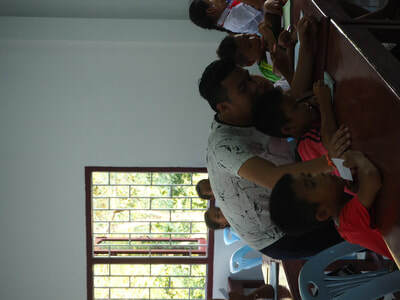 We are looking for volunteers to help us with these activities and classes. 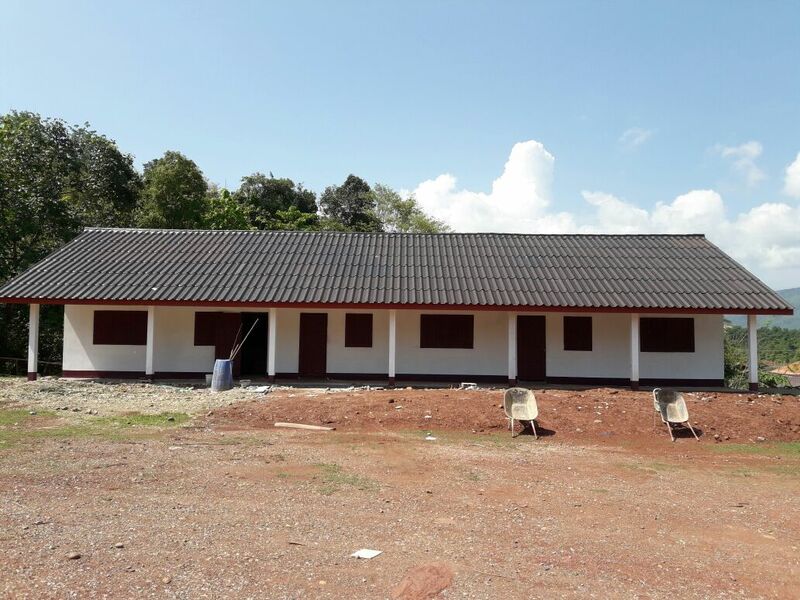 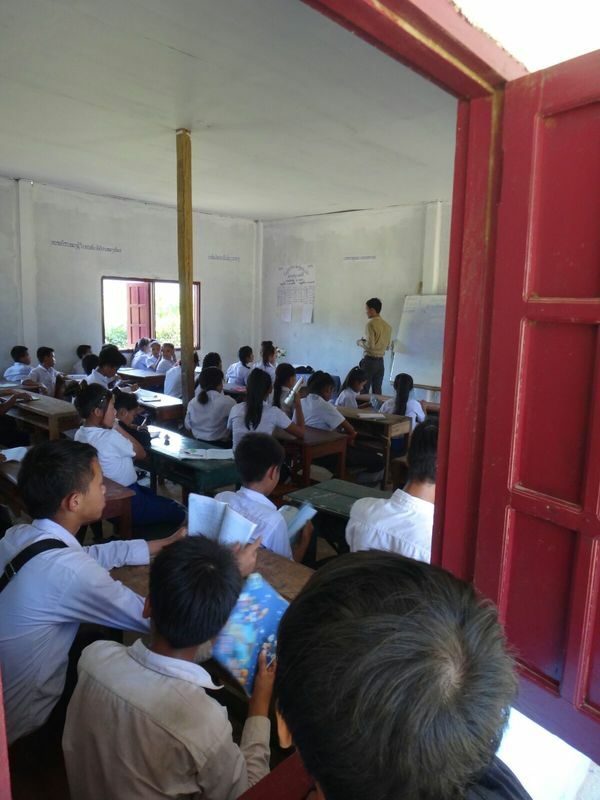 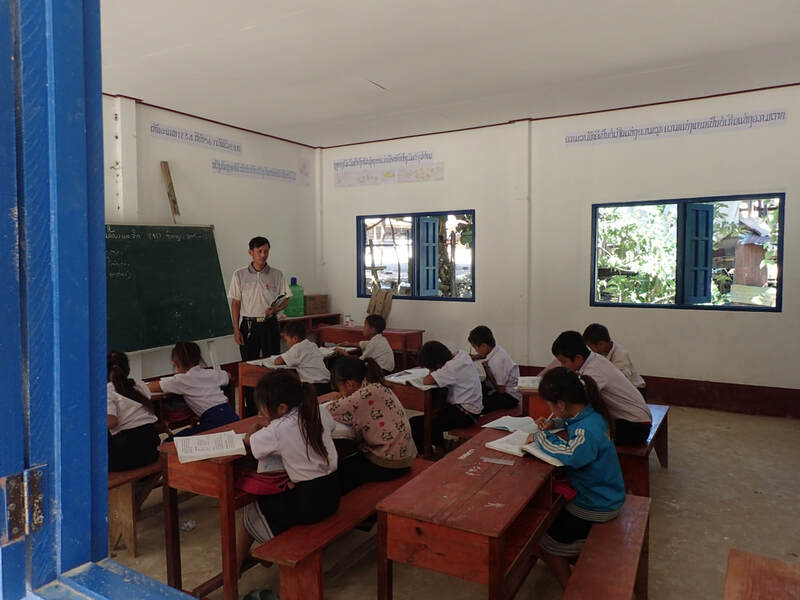 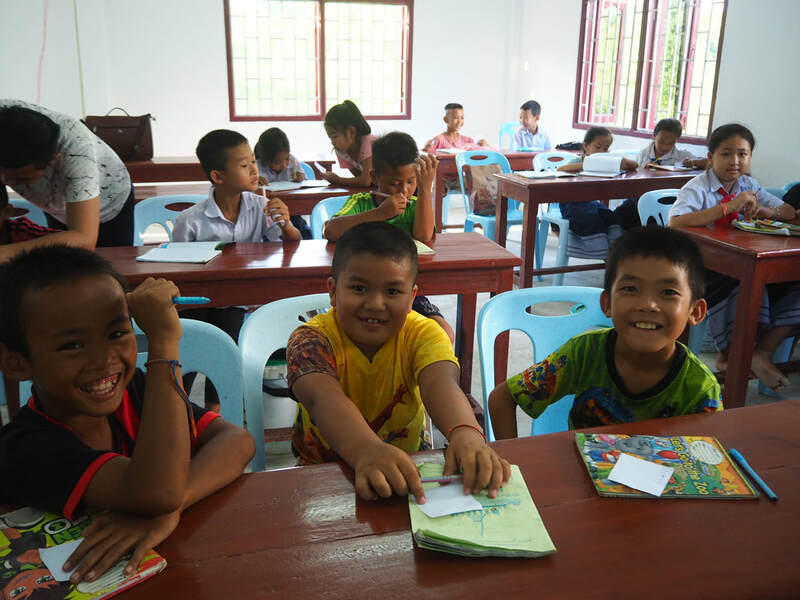 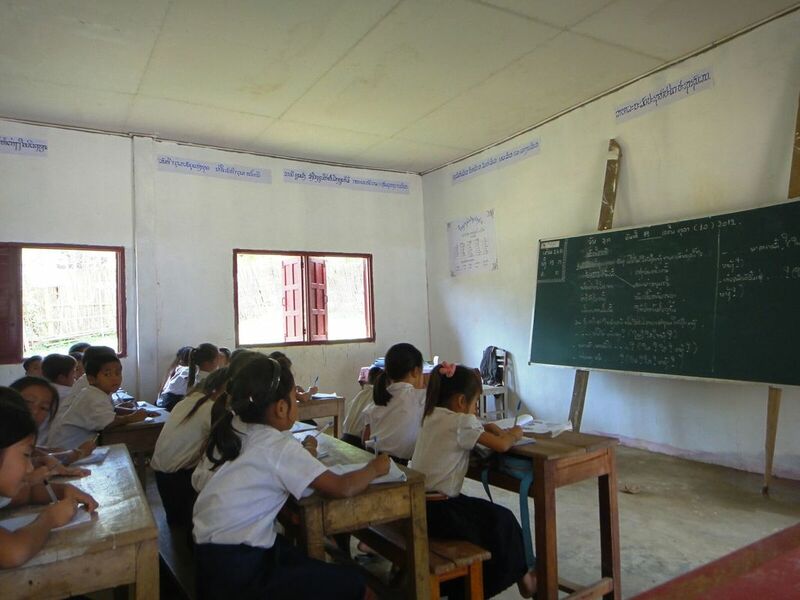 While there are significant efforts to improve the quality of education in Laos, serious problems persist, including an insufficient number of qualified teachers, deficient school infrastructure and low student enrollment. These problems are visible in Vang Vieng, a small community where the growing tourist market is demanding skills such as English speaking ability. The failure to communicate with foreign travelers is the most significant obstacle for locals in search of decent jobs in the tourism sector. 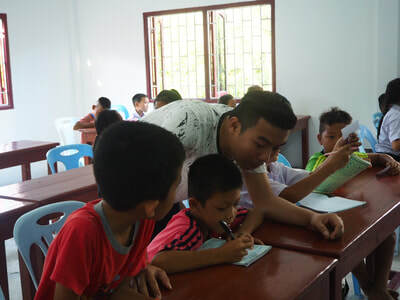 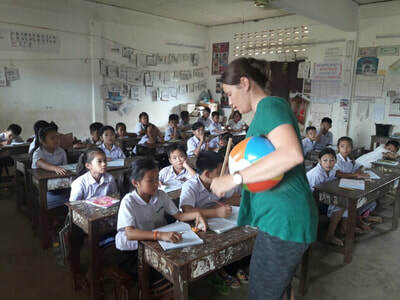 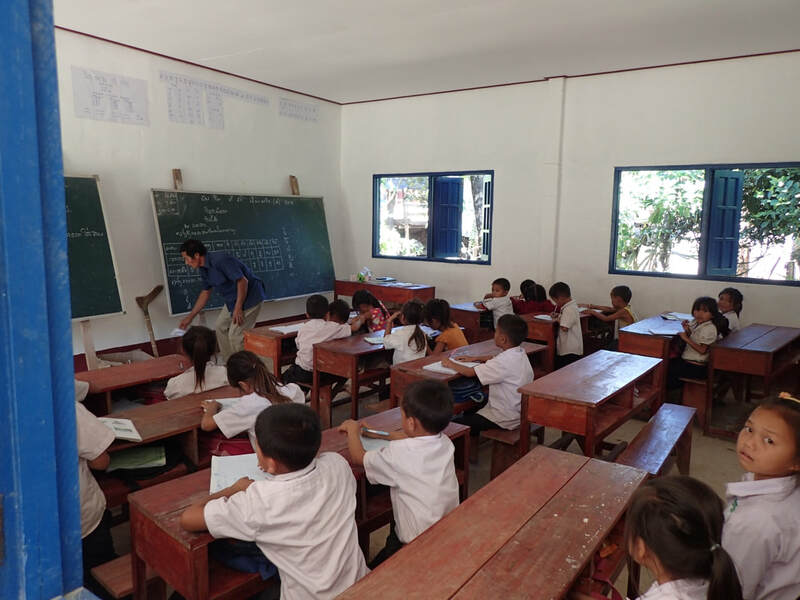 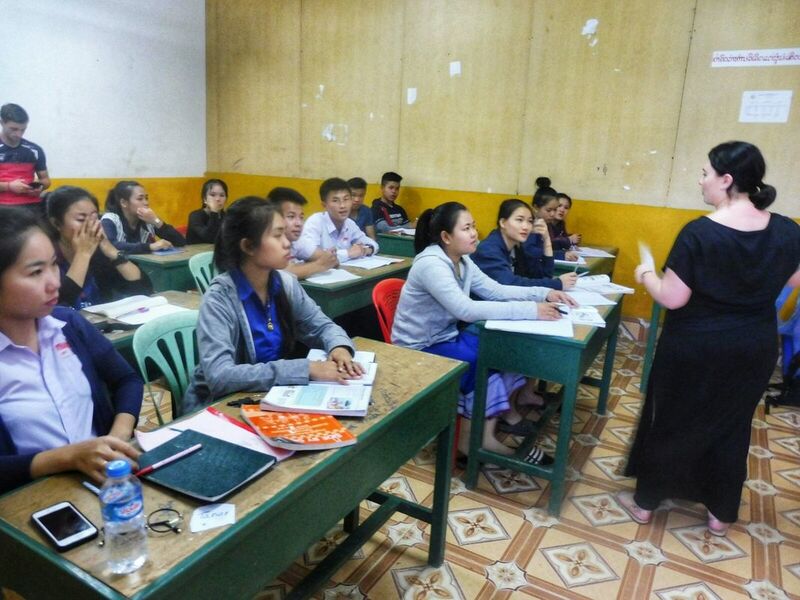 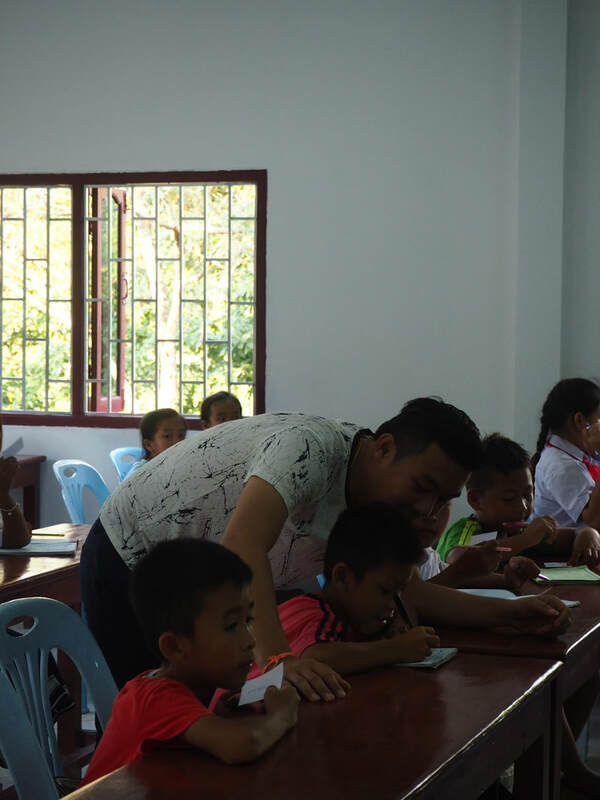 The education project connects resource-poor schools in Vang Vieng with volunteers so that the students can obtain valuable English language skills. Additionally, volunteers bring new ideas and perspectives that promote cross-cultural understanding. 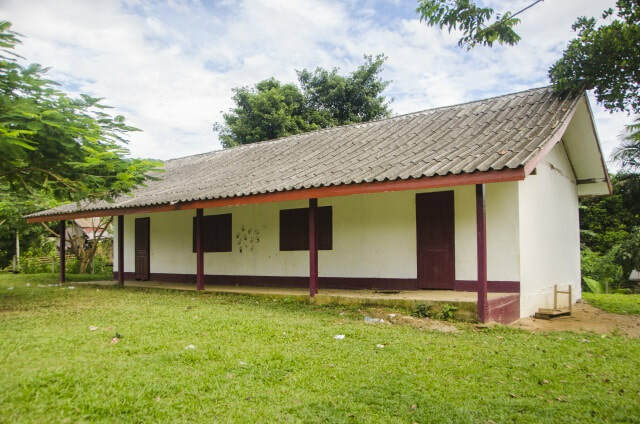 It is the responsibility of local communities in Laos to build and maintain their school where official education is organized. 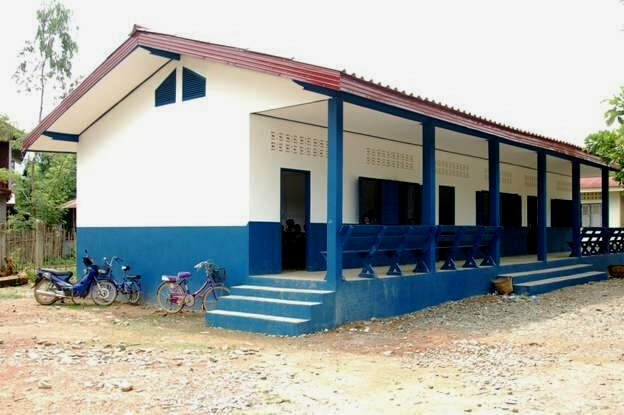 Budgets for school infrastructure are inadequate for many communities. The result is that many children do not have a school, their school is still unsuitable or too difficult to reach. 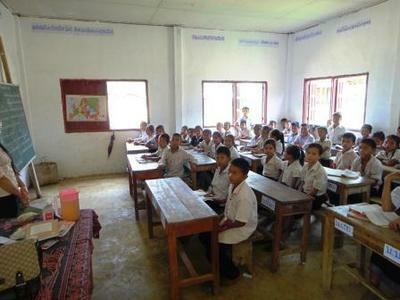 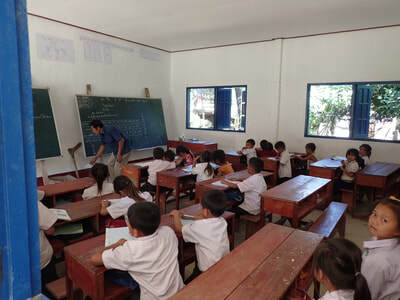 Let Laos Learn helps these communities with the development of their school. 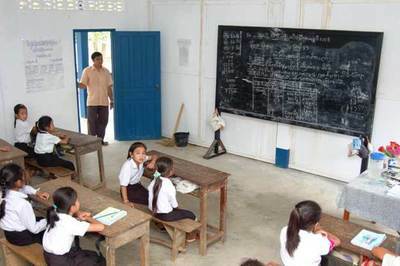 All education in these schools is organized by the Department of Education. These projects are all developed in cooperation with the local authorities. The primary school in Ta Hua became to small and extra classrooms had to be build to house all children. 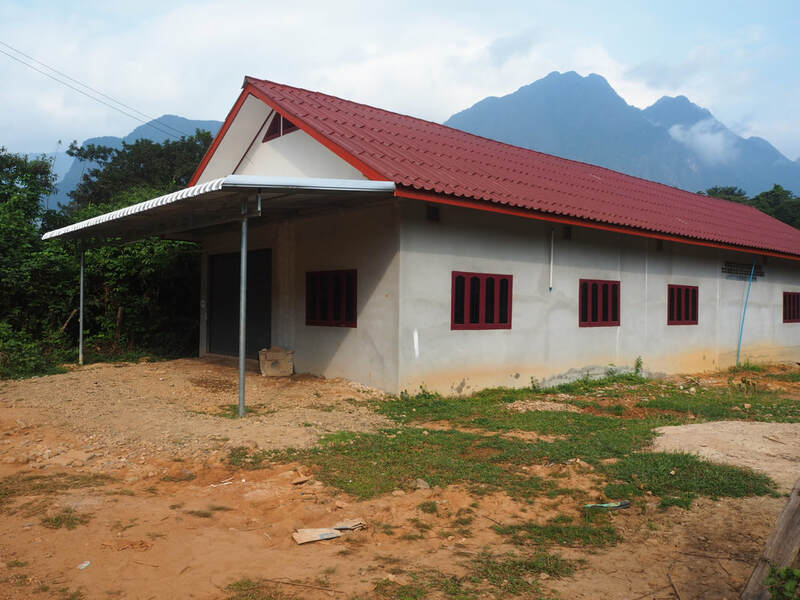 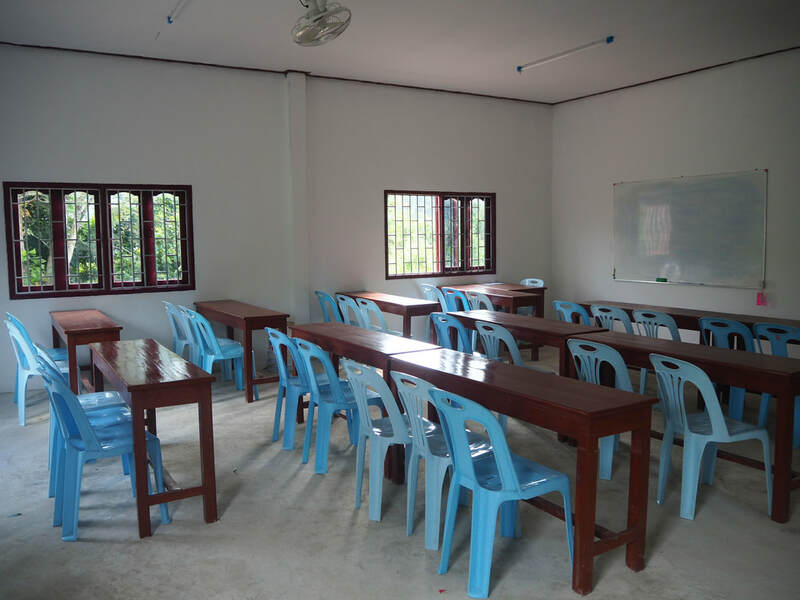 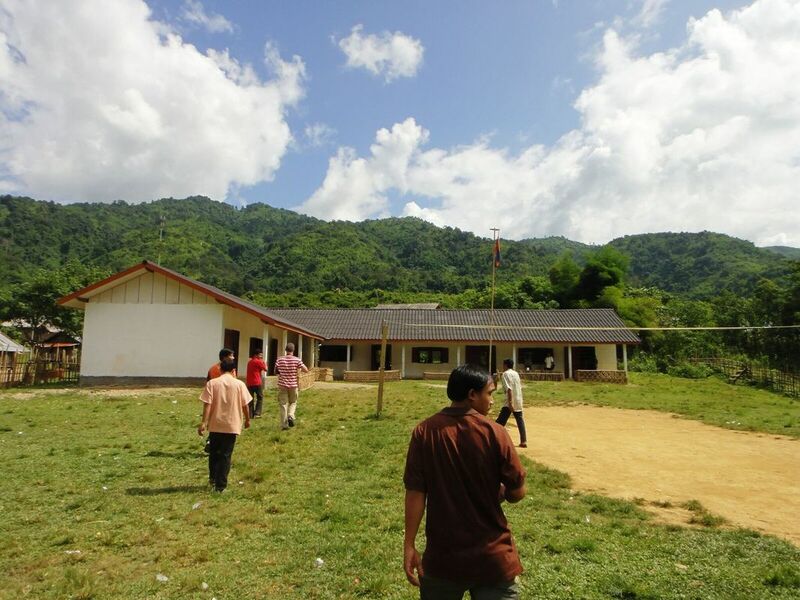 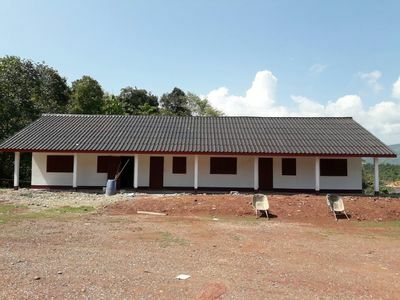 Our project in Primary School project in Keo Kuang is successful (construction finished 2013). 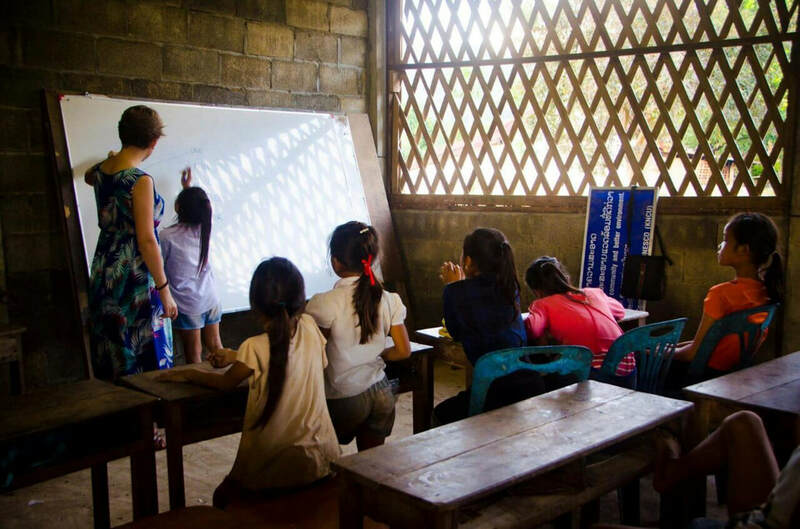 Early school leave dropped dramatically. Therefore the primary school was not big enough anymore and we decided to build 2 extra classrooms. 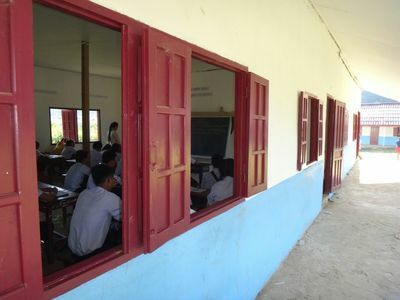 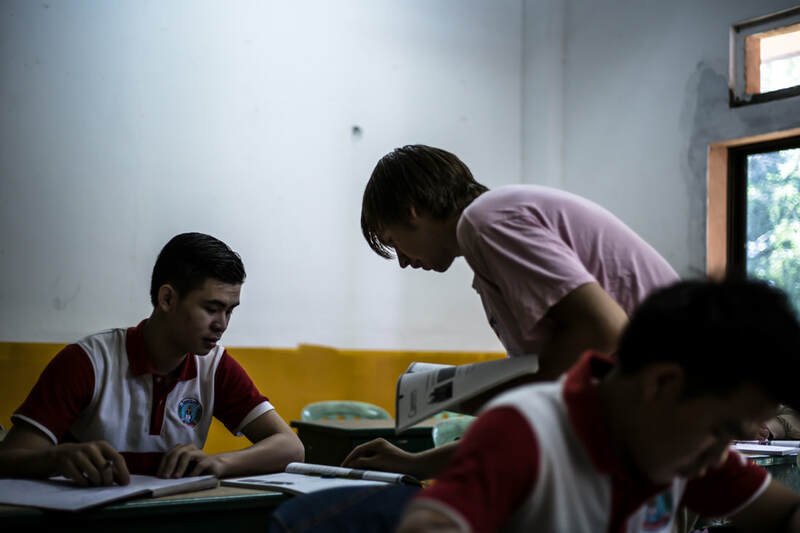 In the past, Secondary education was not available for all youth in the Keo Kuang area. 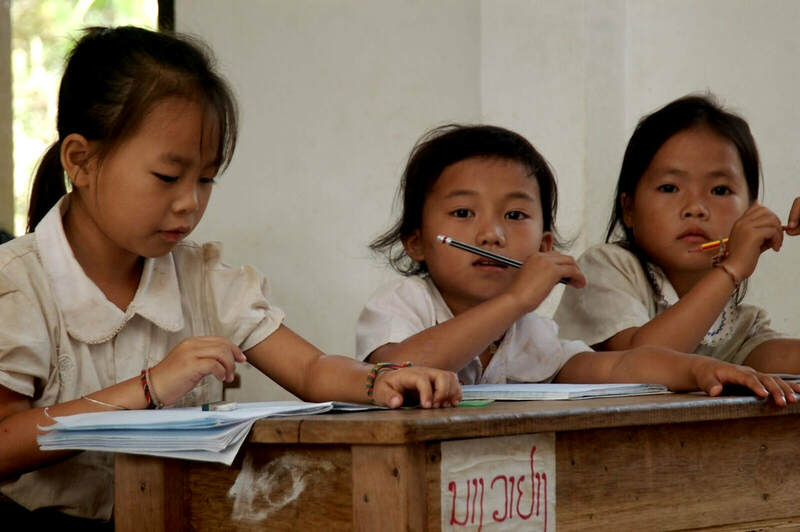 If they wanted to follow Secondary education, they would have had to travel 12km on dusty roads through mountainous terrain. 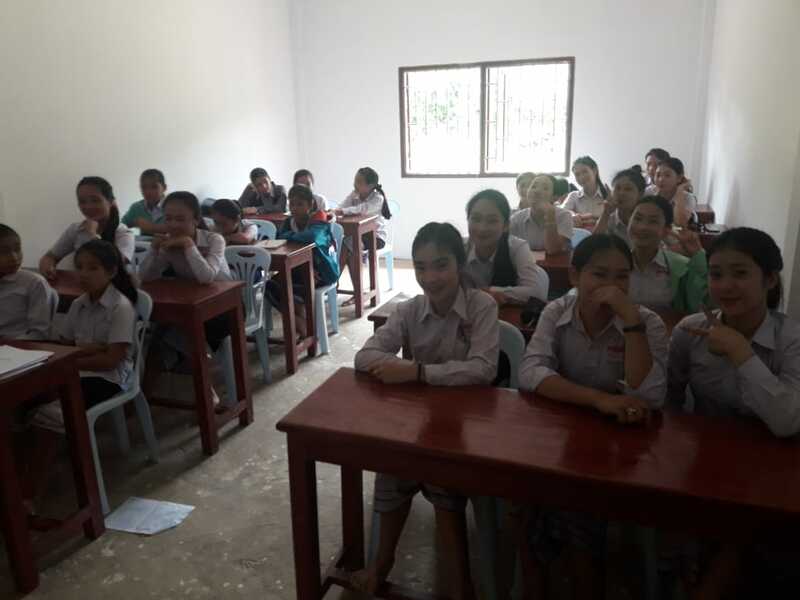 Due to a lack of sufficient transportation and without relatives living close to the existing high school, the children did not have access to education. Girls were particularly disadvantaged and only a few boys from financially capable families were able to attend school. Volunteer coördinators Ket and Ward came in contact with the current village Keo Kuang in 2011, by organizing Participatory Strategic Planning meetings to learn about the local education and community situation. In total, 70 villagers attended the meetings, of which 60% were women. The Participatory Strategic Planning meetings determined that replacing the Primary school was the most essential need for the extended Keo Kuang community. 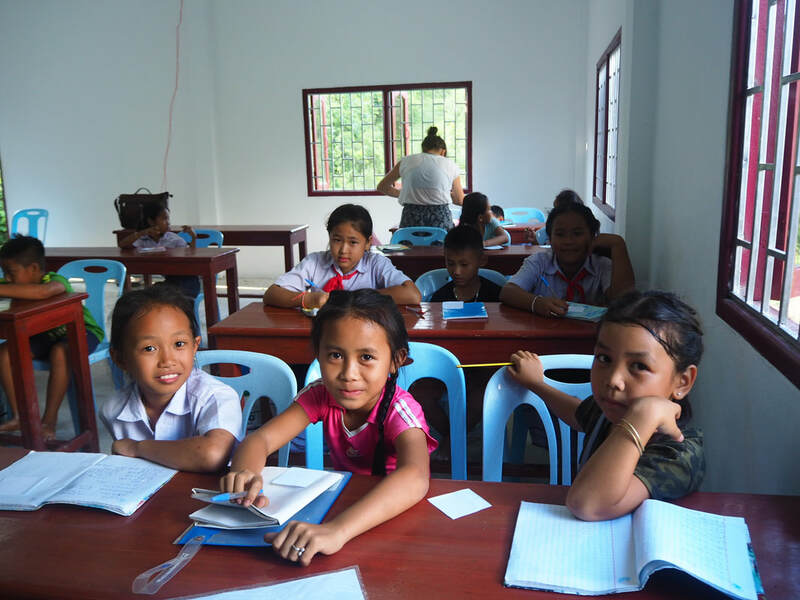 The smallest children in Phoudindaeng all had to go to school in a further village. 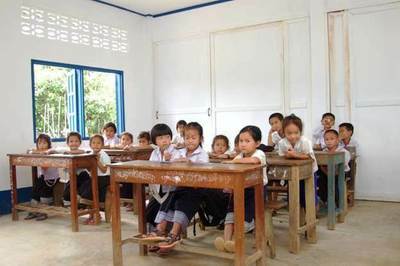 Children of different ethnic groups did not go to school. 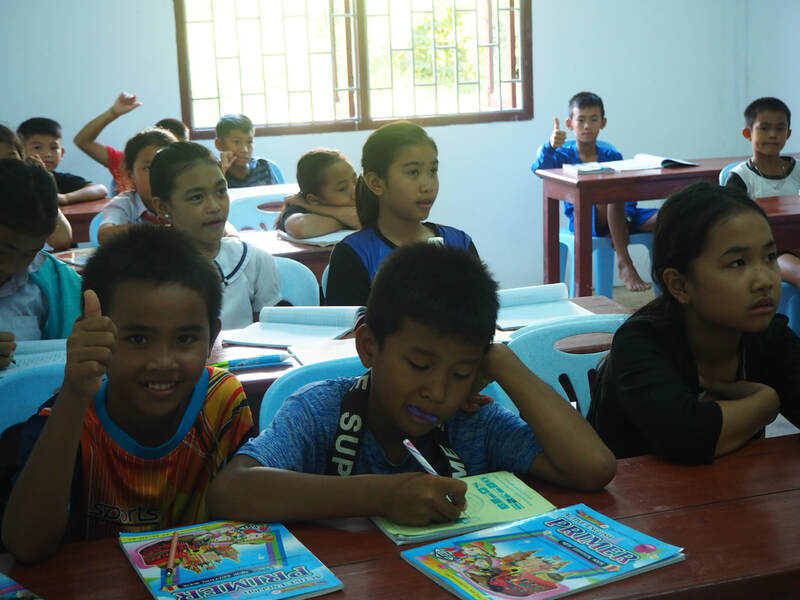 This meant that many children did not get to know the Lao language, with consequences for the future. 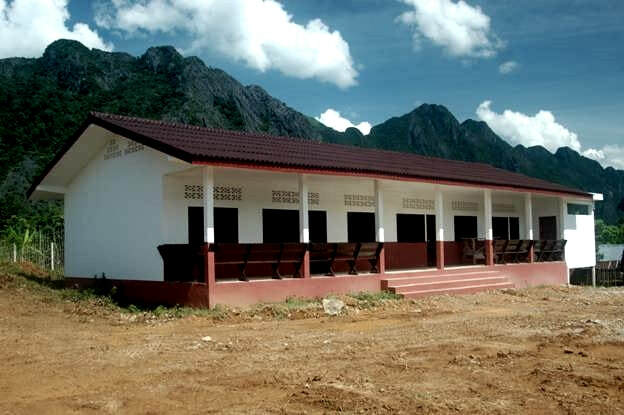 Thanks to the construction of this school, the children who were previously kept at home can now walk to their own village school. 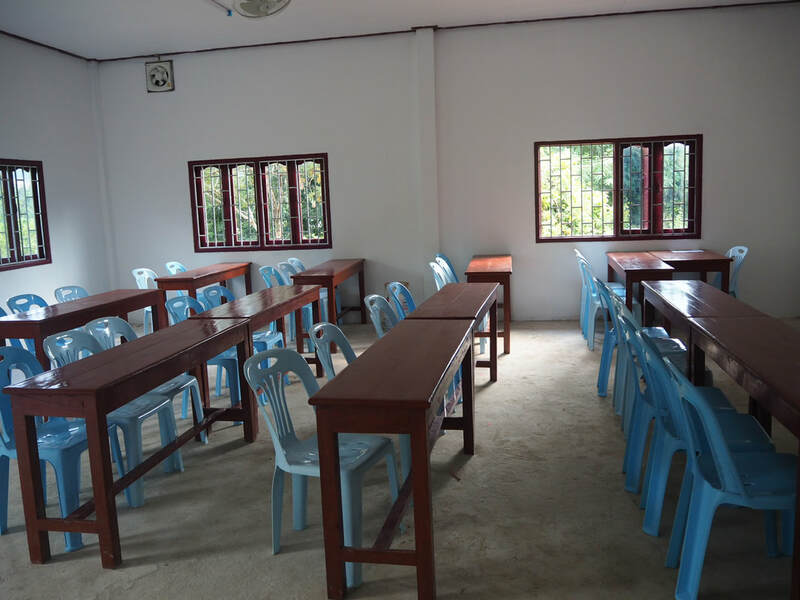 At the request of the residents of Phonpeng, three new classrooms were built in the local primary school. 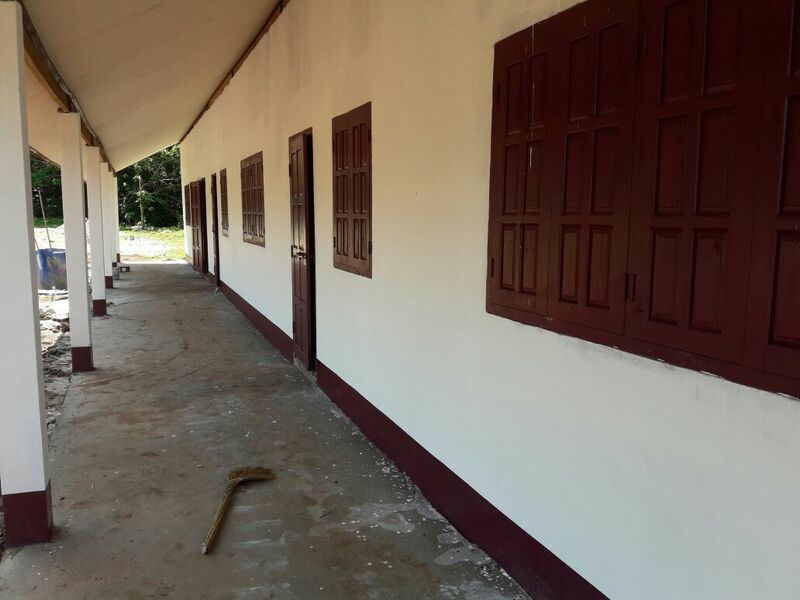 The old rooms had a dirth floor, almost no windows and a leaking roof. 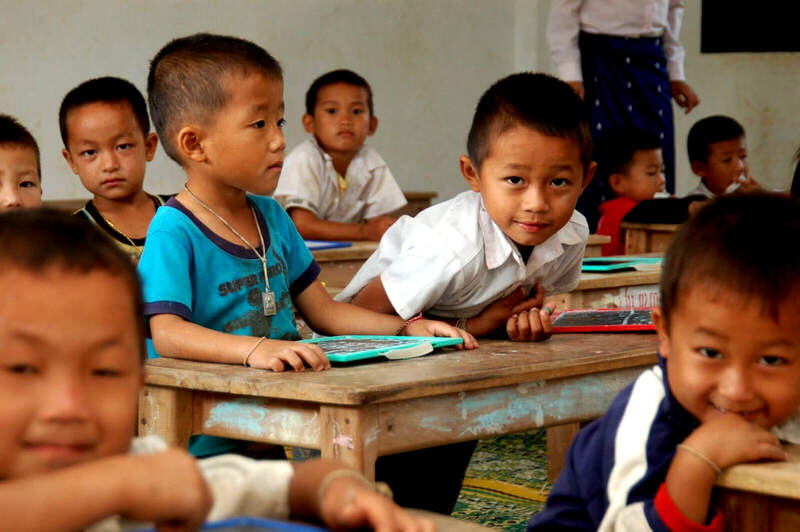 This means that many children suffer from health problems.